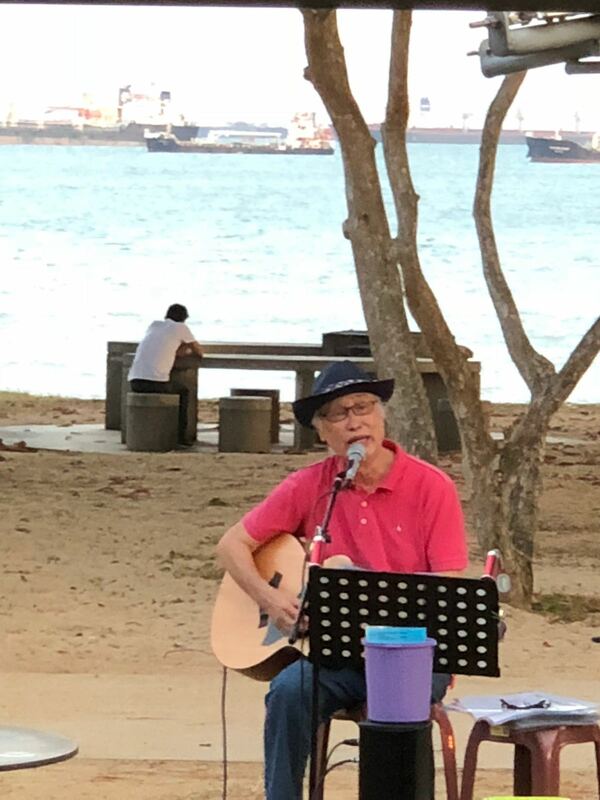 Have you ever think of doing something that you love like busking during retirement? Well, as least Richard our ex colleague did. Richard loves to sing. He also plays the guitar. 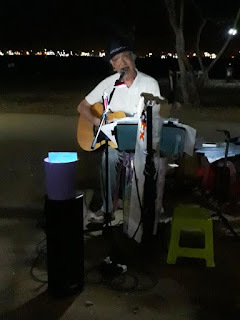 Having talent is one thing but it takes a lot of guts to play a musical instrument and sings in public. Richard feels encouraged whenever members of the public complimented him. One young lady came up to him and told him "Uncle you may be old but you have a lovely voice". This sort of thing spurs him on. During the 90 minutes I was at the East Coast Food Village listening to Richard, I noticed a number of appreciative people dropped about $200 into his collection box (good source of income too). I would like to spend my time busking like Richard but I can't play any musical instrument nor sing. By the way "Corrina Corrina" was the song I requested.